Credit in Latin America is notoriously hard to access. Just a few years ago, credit card rates in Brazil hit 450%, which has gone down to a still astounding 250% per year. In Chile, I’ve seen credit cards that charge 60-100% yearly interest. And that’s if you can even get a card in the first place. Yet people still use these predatory systems. Why? There are rarely any other options. In the US, access to loans depends mainly on a single number: your FICO score. Your credit score is an aggregate of your spending and borrowing history, so it gives lenders a way to find out if you are a trustworthy customer. In general, the higher your score, the bigger (or more lenient) your line of credit. You can boost your score by managing credit wisely for long periods, such as always paying off a credit card on time, or lower your score by taking on more credit, not paying it off on time or carrying a high balance. While many people criticize the FICO score model, it is a relatively simple way for lenders to verify the creditworthiness of potential customers. Consumers in the US have access to deep pools of capital at their fingertips. Home loans, credit cards, consumer credit and other forms of debt are readily available. Perhaps they are even too available, as we saw in the 2008 financial crisis or as we might be seeing now with bubbles in student loan debt. In Latin America, lending is less straightforward and less accessible. Less than 50% of Latin Americans have a credit score history. In the absence of this data, both commercial and personal loans often require more collateral, more paperwork, and higher interest rates than in the US, making them inaccessible to a majority of citizens. As a result, startups, banks, and payday lenders have developed creative systems for measuring creditworthiness and risk using direct measurements of user behavior. Although consumers across Latin America are starting to adopt new lending solutions, the credit market is still a broken industry in Latin America. The Latin American lending industry is historically predatory toward its borrowers, charging outrageously high interest rates to cover supposed risk and bring in large profits. Many countries have few banks, meaning there is little competition to drive down costs and no incentive to serve lower-income customers. Banks also struggle to provide smaller loans for individuals or small businesses because these deals are perceived to be riskier. These customers must then resort to predatory private lenders who charge monthly interest of 2-10%. In the 1990s, microloans appeared in Latin America, supposedly to solve this credit gap and reduce poverty. These US$100-500 loans target the rural, informal market to act as a stop-gap for low-income families in need of quick cash or to help jumpstart a small business. While microloans are often lauded as a useful development tool (their inventor even won the Nobel Peace Prize), they also come under criticism for following the same predatory lending practices as their predecessors. Many microloans now charge between 50 to 120 percent interest, although I’ve seen as much as 500% interest on a microloan. While this rate might be better than the average of 300% interest for short-term loans at a payday lender, the microloan business model – and its overall impact on poverty reduction – remains questionable. Other types of credit such as business loans and mortgages remain relatively hard to access as well. For example, some banks in Chile require customers to immediately deposit 2M Chilean pesos – almost US$3K – just to open an account and be able to use banking services, not to mention getting any sort of a loan. The minimum wage is CLP$276K per month, making traditional banks inaccessible for a majority of citizens. 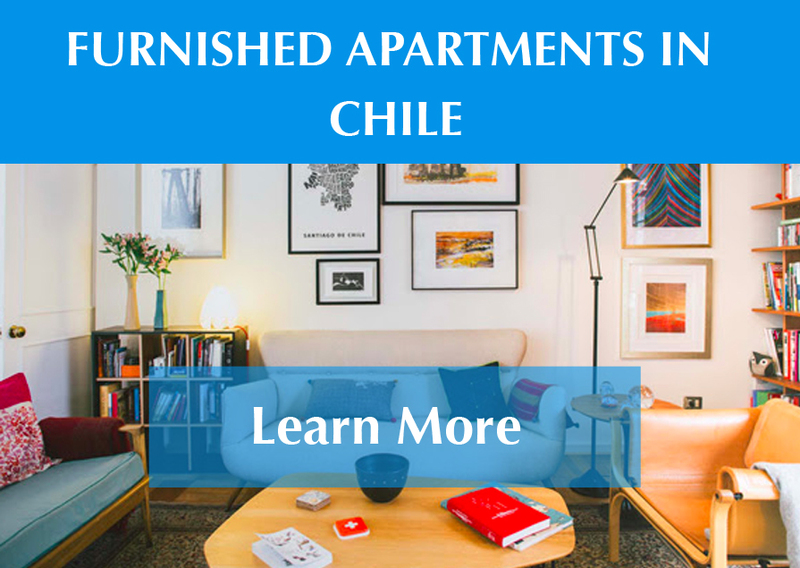 Getting a loan at most Chilean banks requires at least six different forms, including proof of tax payments, proof of employment, and proof of long-term residency in the country. It can take months for a line of credit to be approved, if you even get approved at all. While Chile has a relatively strong credit registry, the bureau only registers negative strikes against credit, leaving out any positive outcomes. Overall, Chile receives a 4/12 for access to credit on the Doing Business rankings. The current fintech boom is directly correlated to the enormous gap between available financial services and growing demand for credit, savings, and payments solutions. Even in developed markets, fintech startups are tackling entrenched problems in the banking industry. In Latin America, where receiving a loan is an even more broken process, fintech companies are already beating banks at their own game. Although access to credit in Latin America is improving, coverage differs significantly between countries. Mexico ranks 8th in the world for access to credit, while Brazil ranks 99th. Almost every country in Latin America has at least one lending startup to help solve the bottlenecks in the current system. However, considering the differences in regulations between countries, these solutions still rarely cross borders. There are many new forms of lending solutions to tackle the various challenges in the market. Here are a few of the solutions in each industry. In Brazil, consumers pay an average of 190% interest per year for consumer loans and credit cards. Looking at that statistic, it becomes clear why over 25 million Brazilians have applied for Nubank’s online, branchless credit card that has interest rates as low as 35% . Nubank, founded by David Velez, Cristina Junqueira, and, Edward Wible recently debuted a debit option that allows customers to withdraw directly from ATMs using the app. Neobanks like Nubank are popping up across Latin America to provide customer-friendly lending and banking options without all the red tape. Argentina’s Uala, founded by Pierpaolo Barbieri, provides mobile Global Mastercards with no fees and no bank branches, allowing Argentines to purchase across borders. While Uala is still developing their credit line, the startup already provides debit cards in every province in Argentina – more than most Argentine banks can say. In Mexico, neobank Albo (a Magma Partners portfolio company) is following the same model and recently raised a US$7.4M Series A to continue expanding their services across the country. International investors are pouring funding into neobanks, with Nubank receiving $180M from Tencent and Uala receiving $34M from Goldman Sachs in October 2018. The following table displays the average interest rates for credit cards in Latin America’s largest economies as compared with the US. This chart makes it immediately clear why many Latin Americans struggle to afford access to credit. Factoring is a short-term business loan where suppliers sell their invoices to a third party at a discount to achieve immediate liquidity. These accounts receivables act as collateral for lenders to help mitigate the risk of lending to a small business. However, factoring discount rates can be as high as 3-4% monthly, which can be harmful to small businesses. Since the 2010s, Latin American governments have pushed for all businesses to use electronic invoices to simplify taxation and regulation; Chile required all businesses to start using e-invoices in 2004. The US still lags far behind Latin America in implementing e-invoicing. These standardized invoices can be used to review company performance over time, acting as a new kind of credit score – or risk mitigation strategy – for lenders. They also mean that invoices are treated like promissory notes, meaning they can act like collateral. A few tech companies are turning e-invoices into an opportunity; with access to thousands of past invoices, it is possible to analyze large volumes of data about a business, lowering risk and interest rates for factoring loans. Omni|bnk, a Colombian-Chilean neobank, uses the information from e-invoices to provide small businesses with loans of up to $1M in as little as ten minutes. Their proprietary system is attracting support from finance giant, BTG Pactual, who provided US$200M for loans through Omni|bnk. For more details, listen to my podcast with Omni|bnk co-founder, Diego Caicedo. Mexican startup, Konfio, founded by David Arana and Francisco Padilla, also provides quick small business loans using a proprietary credit rating formula. Konfio raised over US$25M in a Series C round in June 2018 from Vostok Emerging Finance, Quona Capital, Kaszek Ventures, the IFC, and others. In the absence of banking services, people often resort to their communities for support when they need a little extra cash. Getting a small loan from a sibling or neighbor is still a common practice all over the world. 75% of people in Latin America see low access to credit as primarily a supply problem – meaning banks don’t give out the loans – so informal lending is often the only option for many people. Technology, particularly the widespread access to smartphones, is expanding our communities and making it possible to contact people across the country, or around the world. Almost every country in Latin America has its own peer-to-peer (P2P) lending startup that allows people to lend small sums to other users as a form of investment. The lender receives small returns from the interest payment, and the borrower gains access to capital without depending on a bank. Afluenta (Argentina/Colombia/México/Peru): Provides commercial and personal credit online through a community of over 1M people. Cumplo (Chile): Small business financing using a P2P network. Cumplo is currently expanding to Peru and the US. Kueski (Mexico): Personal loans in 10 minutes (rather than 10 days), all processed online. Latin America’s mortgage market is one of the fastest-growing in the world, hitting steady 14% yearly growth since 2003. However, much like other loans in Latin America, mortgages can be tricky to navigate. Even in the US, it can be hard to pin down the best price and many experts recommend negotiating with several providers before making a decision. With fewer banks and less competition, Latin America’s mortgage market tends to offer little transparency about rates and options for its users. Across the region, startups now offer comparison services to allow home buyers to easily research mortgage options and shop for the lowest rate. Almost every country in Latin America now has its own mortgage comparison startup racing to help consumers maneuver the process with banks more fluidly. Bancompara (Mexico): A service for comparing mortgage rates and options across several banks online. ComparaOnline (Chile): An online platform to compare insurance and loan rates across most banks in Chile. ComparaOnline is currently expanding into the Colombian market through the acquisition of their counterpart, ComparaMejor. RebajaTusCuentas (Peru): A platform that allows home buyers to compare mortgages from Peru’s seven banks and even simulate their credit so they understand how their credit history will affect their rate. The next phase: loans through the blockchain? Latin America is one of the fastest regions to adopt cryptocurrency and blockchain technologies. Read my previous articles about the uses of the blockchain in Brazil, Argentina, and Mexico. Unsurprisingly, startups are using these decentralized currencies to back quick online loans, since the blockchain demands a high level of transparency that can protect users. Itau Unibanco in Brazil became the first bank to back a blockchain loan in Latin America in mid-December 2018. Argentina is still the region’s crypto leader; two Argentine startups, Ripio and Wayniloans, are among the first in Latin America to make crypto-loans available. Wayniloans started lending in Bitcoin in mid-2016, becoming a pioneer in Latin America for alternative lending services. Ripio recently rolled out a pilot program with 3000 lenders (many of them in Asia) in September 2018, allowing unbanked Argentines to borrow up to US$730 through an Ethereum-backed coin on the platform. Since the blockchain tracks all users’ movements, it can act as a credit score even for those that are unbanked. Today, getting a loan at a bank in Latin America often means long wait times, excessive paperwork, and crushing interest rates. Even microloans and factoring companies, designed to help low-income families and small businesses, struggle to provide reasonable loans. Since most of these borrowers have no way to prove their credit history, lenders must mitigate risk using very high interest rates. Startups across the region – and increasingly, banks – are creating new solutions to this problem, from peer-to-peer loans to factoring, making it possible for people to access credit and participate more fully in the local economy. While Latin America’s lending industry has a long way to go, these businesses provide much-needed lending alternatives to Latin America’s underbanked population.